‘Trap Booming Vol 1’ from Equinox Sounds includes five instrumental Construction Kits inspired by the new wave of Trap artists such as Metro Boomin, 21 Savage, Lil Uzi Vert, Lil Yachty and Playboi Carti. This sample pack includes a tried and tested selection of crafted sounds to make your tunes kick. Includes WAV and MIDI formats. All the sounds are 100% Royalty-Free. 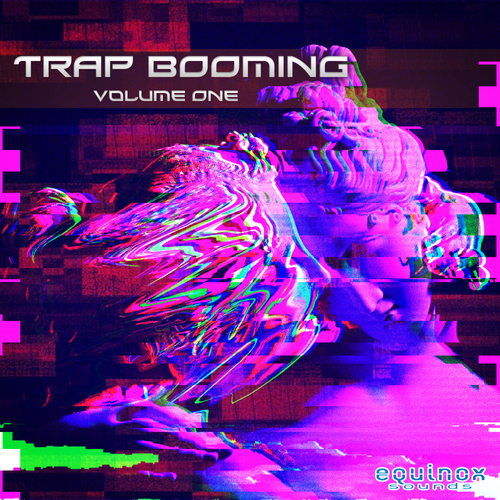 ‘Trap Booming Vol 1’ will help to increase, diversify and embellish your Trap productions with boomin basslines, tight drums, futuristic melodies, keys, synths, FX loops and everything else you can hear in the demo. The drum tracks are supplied separately (kick, snare, hi-hat, etc.) for perfect drum loop mixing. Each Kit is provided with the key and BPM information and presented with a full mix and its component parts. All produced in immaculate 24-Bit quality. The collection also includes the MIDI files for the melodic parts of the Construction Kits. Each of these Kits is given its own unique treatment, to create a pack which has all of the unmistakable hallmarks of the genre but with a sound all of its own.